If you’re not getting the support you need from your relationship, it’s quite possible that you’re not asking for it enough or maybe you’re asking in a wrong way. While this issue concerns both men and women, it is more difficult for women to ask and get the support they need. 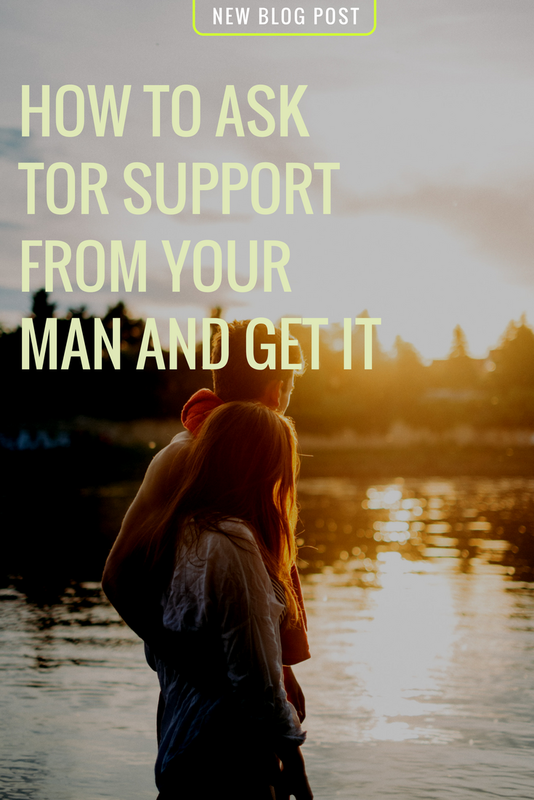 Why is it hard for women to ask for support? The reason why women find it hard to ask for support is that a woman instinctively offers her support when she loves someone, the more she loves that person, the more motivated she is to give and offer support. A woman instinctively senses the needs of her lover and offers support, she mistakenly expects her man to do the same. For a woman, giving support is a form of showing your love, she may even test a man’s love for her by how much he offers her support. Unfortunately, things work differently for men. For them, if you want support, you’ll need to ask for it. They don’t offer help unless they’re asked to. This can be confusing for a woman, especially because if she asked him in a wrong way, it’ll turn him off and if she doesn’t ask at all, she’ll get little or none at all. At the beginning of a relationship, men are willing to give to their partner, and after some time, they stop giving. The woman, however, continues to give patiently and lovingly, she assumes that her man doesn’t have anything more to give for now, but that, eventually, he’ll catch up. The man, on the other hand, assumes that he gave enough, that the score is even, that’s why his woman continues to give without asking for more. He’s waiting to be asked for support before giving further. By this time, the woman grew resentful and when she asks her man, the request comes out as a demand. She even resents the fact that she had to ask for his support. Even if the man says yes, she still believes that if she had to ask for it, then it doesn’t count. Men, don’t respond well to demands and resentment. Demands are a complete turn off for them. If they sense a woman’s demanding tone, they often say no, and even tend to give less for a while. - Start asking him to do these little things that he already does, in a non-demanding tone. - When asking, be careful not to ask your man something he’s about to do, it’ll make him feel as if you’re telling him what to do. - Don’t use the word “Could”, instead use “Would”. When you say to your man: “Could you empty the trash?” He may perceive it as an insult. Of course, he can empty the trash, the question isn’t if he can or can’t empty the trash, but will he empty the trash. When a man answers to a “could-you” question with a yes, it doesn’t feel to him like he made a promise, he may, therefore, not do it. But to answer to a “would-you” question with a yes, it does feel like he made you a promise and thus he’ll do it. - When he does those things, express a lot of appreciation, and let him know that you’re not taking him for granted. It is important in this step to get your man used to you asking from him with a non-demand tone and with a lot of appreciation afterward. It is important also not to ask for more than what he is used to doing. Men need a lot of love and acceptance, when you demand from him, all he hears is you telling him that he’s not doing enough. He tends then, to give less. But the more you appreciate him, the more he’ll give for you. When the man gets used to you asking for support without expecting more. You’re giving him the message that he’s good enough. He feels appreciated and accepted. Then, he’ll start to stretch his abilities more and offer more support. At this point, you can start asking for more. - It is important at this step to not only ask correctly but also, accept his NO and make him feel loved and accepted even when he says no. if the man felt free to say no or yes to your request without being disapproved of, he will then tend to say yes more frequently. - Practice asking for support, even when you know for sure that he’ll say no and even for the things you intended to do it yourself because you know that he’ll say no. - Be prepared for his NO, when he tells you he can’t or “couldn’t you do it”. Have a ready answer like “Okay”, or “No problem”. And act as if it is perfectly okay with you that he said no. That way, you’re making it safe for him to say no to your request without him feeling disapproved of. To feel loved despite saying no to you will be dearly appreciated by the man, and next time you ask him, he’ll tend to say yes as much as he can. Your acceptance and trust are stretching his ability to give more. After practicing asking correctly for support and graciously accepting no as an answer, in this step, you’re not accepting his “No”, you don’t just say “Okay” and go by, but you wait for him to say yes, even when he shows signs of resistance. - When he resists your request, just stand there, stay silent and accept his resistance. - After you have asked, expect him to moan, groan, scowl, growl, mumble, and grumble. Do not disapprove of his resistance, just go along with it. If he says: “I’m busy, why don’t you do it yourself.” Just say: “I’m busy too. Will you please do it?” then remain silent. His resistance has nothing to do with his willingness to give support, but to the timing of the request. To resist is a sign that the man is focused on something else and that he’s considering the request. If he was unwilling to give support, he will simply and calmly say no. By ignoring his resistance, it’ll go away quickly.